Glee alum Melissa Benoist went back to her musical roots on June 7 when she kicked off a Broadway-debut run in the title role of Beautiful: The Carole King Musical. 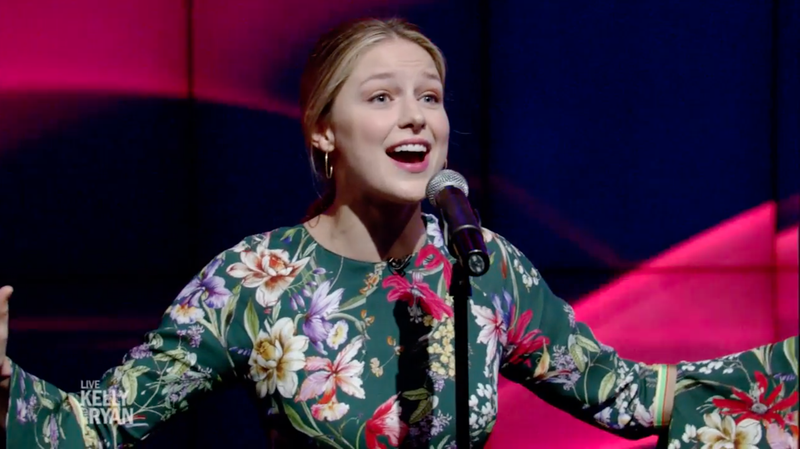 The Supergirl star sampled her performance for TV audiences on the June 11 episode of Live with Kelly and Ryan, serving up a dynamic performance of King's fan-favorite hit "I Feel the Earth Move." Watch the power-voiced Benoist below and don't miss the chance to experience her powerful performance in person at the Stephen Sondheim Theatre.